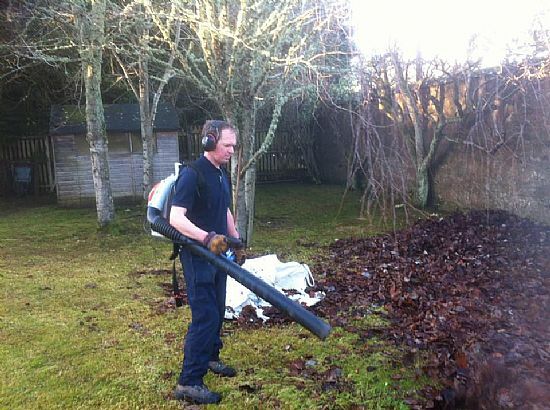 I can confirm that Kevin Fowler worked for me as a gardener on the Ness Side Estate, Dores Road, Inverness from 15 April 2013 until 11 December 2015. Kevin was a good, honest, reliable worker who was always punctual and I would have no hesitation in recommending him for employment. I have employed Kevin Fowler as a gardener for several months. I have always found him to be an honest and trustworthy employee and very good at his work. I have no hesitation in recommending him to anyone requiring his services. We have found Kevin to be a thoroughly professional gardener with a good grasp of all the biological and physical needs of a garden. He is a very hard worker and is methodical in his approach to all tasks. He is sympathetic to the needs and requests of the client. He has an excellent range of equipment at his disposal and uses it effectively. We strongly recommend Kevin as a gardener. Thank you so much for all your hard work in my garden. I thought I would email just to let you know how pleased I am and considering how the weather was when you were here everything has turned out just as I wanted. Thank you again. If anyone should need a reference for your work, then I would be happy to recommend you.